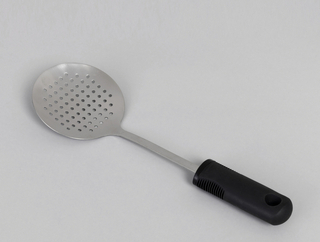 In 1989, Sam Farber, former CEO of the cookware manufacturer Copco, decided to establish the kitchen utensil manufacturer OXO International, inspired by his arthritic wife’s difficulty gripping a potato peeler. 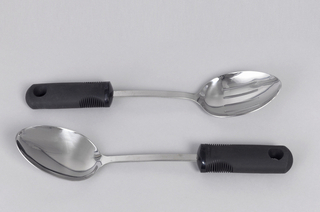 Farber considered many kitchen tools to be “functional disasters” and contemplated what could be done for his wife and the more than 20 million Americans with arthritis. 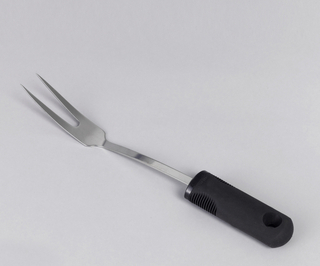 He noted that, even for the average user, “ordinary kitchen tools hurt your hands, with painful scissor loops... [and] hard skinny handles.” Farber wondered: if you made comfortable tools, wouldn’t everybody use them? 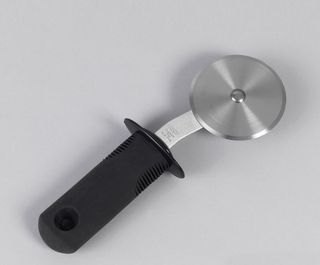 Corporate Design Foundation, "Getting a Grip on Kitchen Tools," @issue Journal 2, no. 1... more. 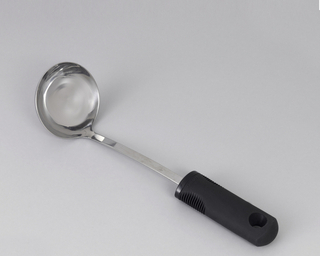 We have 30 objects that OXO International has been involved with.